BARCELONA - There were few surprises at the launch of the Galaxy S7 that just took place in Barcelona. 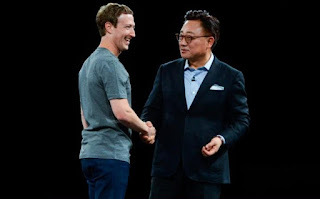 It seems that no one suspected that after performing some Samsung officials explained the ins and outs of Galaxy S7, Mark Zuckerberg suddenly took on the stage. Zuck appeared with his trademark fashion, jeans and a gray T-shirt that never changed model. Presence, which was introduced by D.J. Koh as Head of Samsung Mobile, surprised the audience who most amazed by the direct figure of the CEO and founder of Facebook. Many were immediately dispersed close to the stage to capture the figure of Zuck. Unfortunately many are disappointed because Zuck move oftentimes from one corner to the other corner of the stage and level of security guard is very high. What's behind Zuck's presence on the Samsung stage? Apparently he promotes about virtual reality technologies as well as the cooperation between Samsung with Facebook. Gear VR virtual reality device from Samsung is an artificial by Oculus is a subsidiary of Facebook. Our Oculus technology powers Samsung's Gear VR. Tonight we announced that every pre-order of the Samsung Galaxy S7 and S7 Edge will ship with a free Gear VR. And if you don't pre-order, you can buy it for just $99. This means Gear VR will be in the hands of millions of people this year, he said. 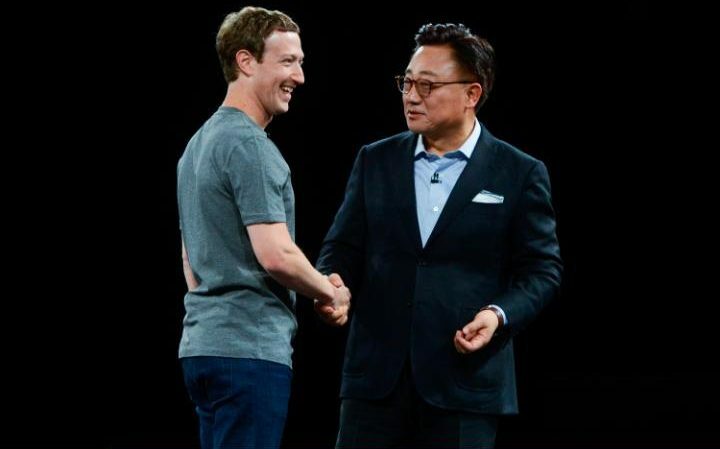 Zuck also revealed that the fabric of their cooperation with Samsung in virtual reality arena will be more closely. Zuck believes Gear VR increasingly popular this year and millions of people will use them. Facebook also will make the VR application more sophisticated. After a short talk, Zuck returned to the back stage greeted the audience who make hysterical screams and camera flash lights sparkle endlessly. Shortly thereafter, he seemed to have disappeared from the launch of the Galaxy S7 arena.